When you have assigned a number and configured at least one phone device you are ready to start making and receiving calls though Sentle. 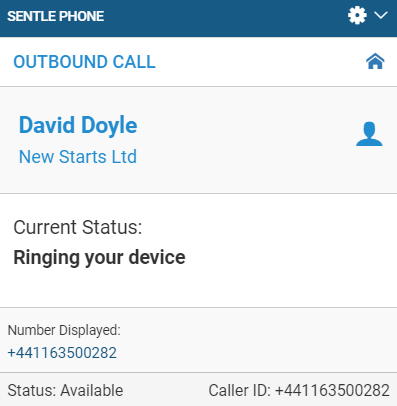 Calls out of Sentle are described as ‘two legged’ which means the system will call your device first and will connect you to your contact when you answer your device as shown in the following diagram. 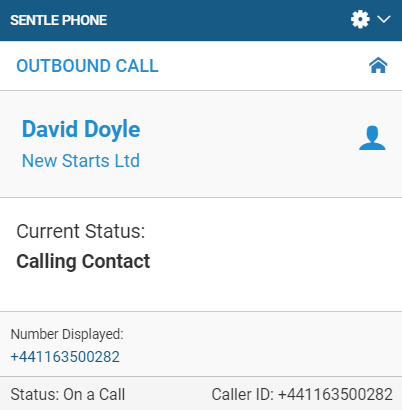 Calls to contacts are easily made from Sentle by clicking in the various areas highlighted below. From the ‘Call Contact’ icon within the main address book. 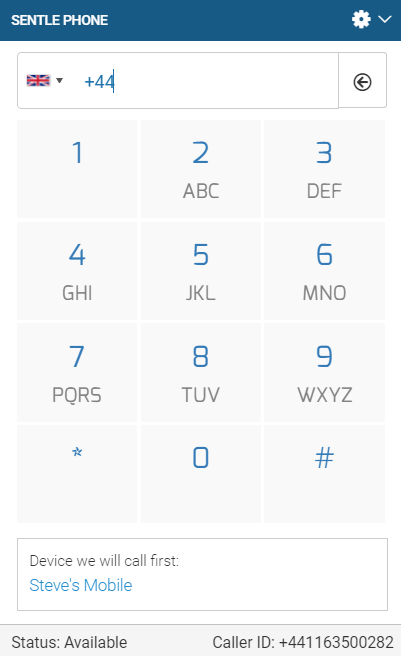 From the ‘Phone Numbers’ area of the contact details page. From the phone icon at the top of the contact page. Manually from the dial pad initiated by using the telephone icon on the top of the screen or from the Sentle dial pad located in the bottom right of the screen. 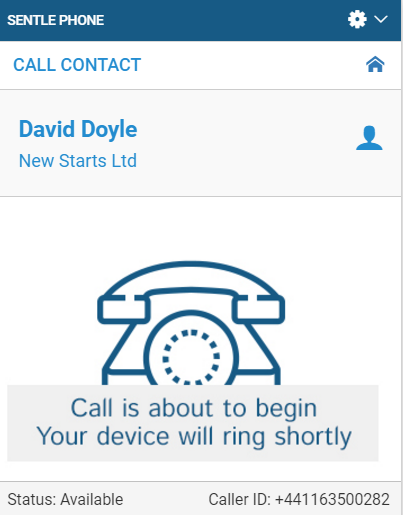 When clicking on any of the above to make a call the Sentle phone window will display in the bottom right of the screen as follows. On this screen you can choose to change your display number if you have more than one available. Select call to confirm that you wish to make this call. The phone window will update to inform you that the call is commencing. Sentle then displays the various stages of the call being made. 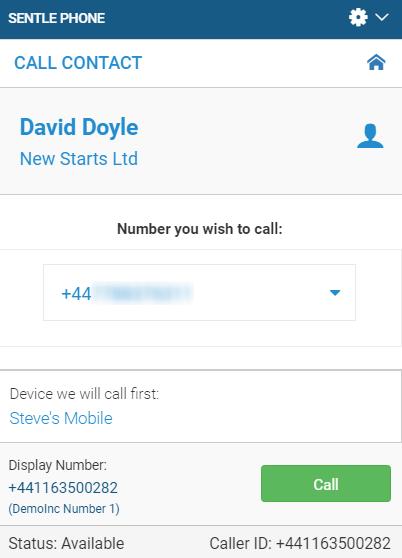 When your contact answers the call the phone window will change to include information and about the call and call controls as shown below. Transfer the call to another Sentle user. Make call notes. 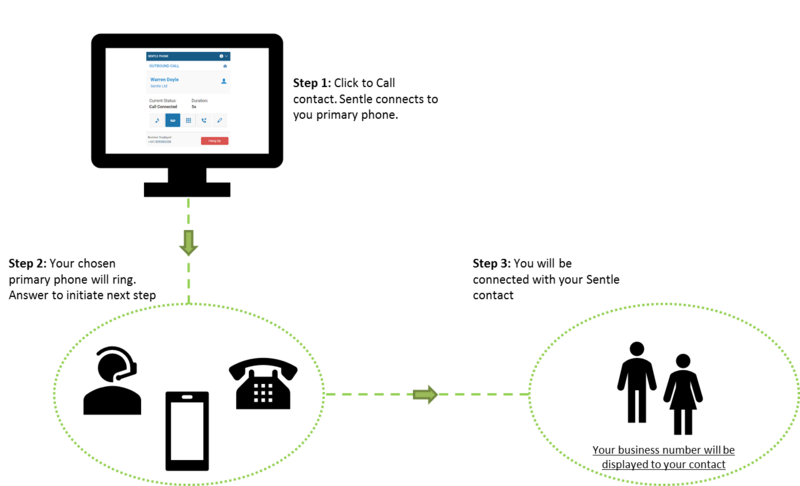 Selecting this option will open a new window where you are able to make notes about the call that will be saved with the call record. 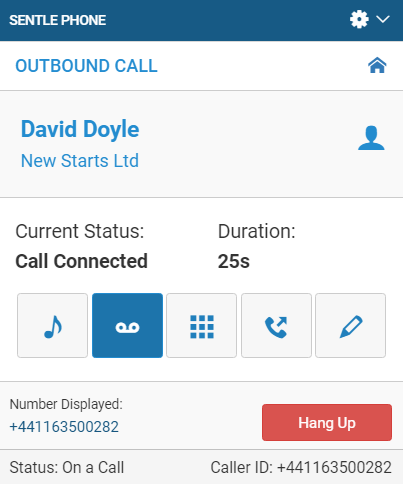 The call will end when you hang up via your device or the button on the phone window or when the contact you have called hangs up on their side. If you accidentally call a wrong contact it advisable to answer the first leg of the call (to your device) and then cancel. If you attempt to cancel the call beforehand you may connect the caller with your voicemail.